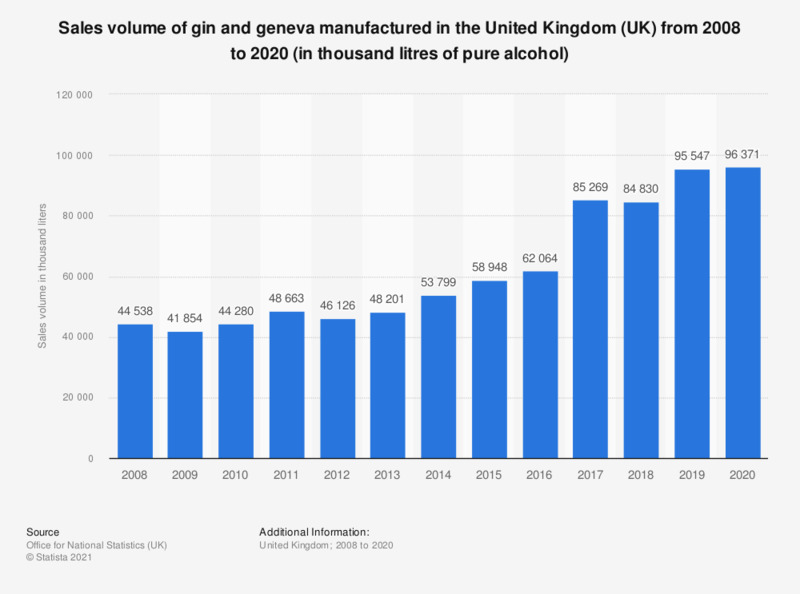 This statistic shows the total manufacturing sales volume for gin and geneva in the United Kingdom (UK) from 2008 to 2017. In 2017 the sales volume of gin and geneva increased to approximately 82.8 million liters. * Based on PRODCOM (PRODucts of the European COMmunity) survey of production.